The following Training Resources and Tools can help you achieve your goals FASTER. Note: Social Media training products are listed separately. Click here for details. Internet Marketing Mastery is a collection of twenty-two (22) Video Tutorials designed to help the newbie learn the basics of online marketing, including website development, social media, list building and much more. Download these videos onto your computer and go over them as often as you want. Commission Blueprint 2.0 is a collection of twenty (20) Video Tutorials which walk you through everything you need to know to skyrocket your Affiliate Marketing campaigns. 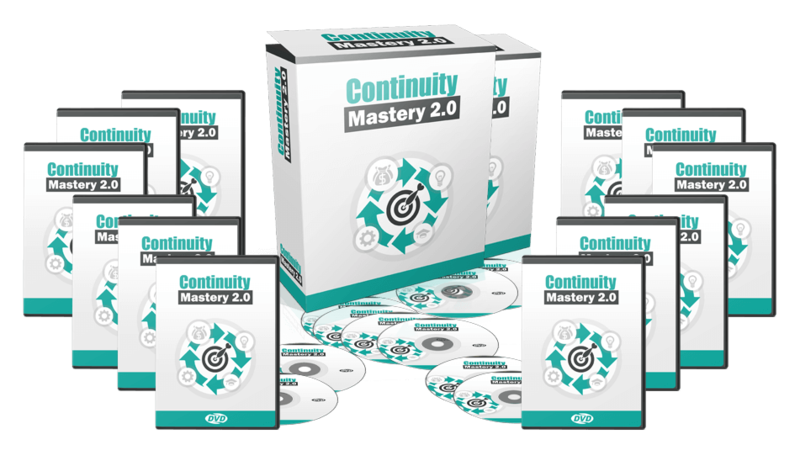 Continuity Mastery 2.0 is a collection of twenty-one (21) Video Tutorials which walk you through how to set-up recurring payment memberships sites. More Than Templates is a simple “website content” solution delivered in the form of an 18 page “ready-to-go” monetized website which you can load up on your own domain in less than 10 minutes. Content is the most expensive part of a website. More Than Templates gets you started fast …and will save you a bundle! Cloak and Tracker is a desktop-based product which gives you total control of all your affiliate, eBook, and other online links to ensure they are always active. Stop hackers cold with dial authentication on your WordPress site. Email based, this Plugin gives you a way to give each user “secure” access – and to track their login activities.